Heine Propane is here to help with all your propane services in Sansom Park, TX. Our experienced technicians are happy to offer residential and commercial propane delivery and more in Hood, Johnson, Parker, and Tarrant counties. When you want old fashioned service at a reasonable price, just give us a call at 817-341-7240. Autogas Conversion Propane autogas is among the most affordable alternative fuel options around and has many benefits! At Heine Propane, we perform propane autogas conversions for gasoline and diesel engines. Budget Autofill Program Did you forget to schedule a propane delivery again? 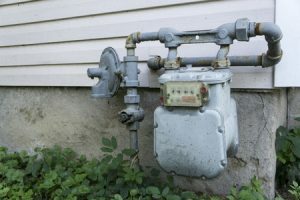 Are you in danger of running out of propane? Never forget or panic again with our hassle-free budget autofill program! Commercial Propane Services Whether you’re in the agricultural, industrial, government, or other industry, our staff is here to help with all your commercial propane needs. Give us a call now and let us know what you are looking for! Heaters & Generators Are you looking for propane appliance services in Sansom Park, TX? We can deliver for heaters and generators, as well as other propane appliances and machines. New Construction When you want the convenience and efficiency of gas but have no lines to your property, choose propane! We provide a variety of sizes and solutions for any budget. Propane Delivery Always reliable and fast, Heine Propane is proud to provide the best prices on propane delivery in Sansom Park, TX. If you’re running low, you can rely on us to keep your tank filled. Residential Propane Services Looking for quality residential propane services from a local provider? We guarantee unbeatable prices and dedicated customer service. Tank Inspection & Repair Do you have an old tank or think it may have been damaged in a recent storm? If you’re buying a home and need the propane system inspected, contact us! Tank Installation From 100 gallon tanks to 2,000 gallon tanks, we install them all! Improper installation can lead to critical problems with your propane system, so call the experts today! Underground Propane Tanks Correct installation of underground propane tanks is essential and call for special equipment and safety measures. However, it is a popular and beneficial option for many homeowners, and our contractors have the skill to install them properly! As a local, family owned business, Heine Propane is dedicated to serving our customers with quality and integrity. You can always depend on us for unbeatable prices. Call 817-341-7240 for propane delivery in Sansom Park, TX and other services!